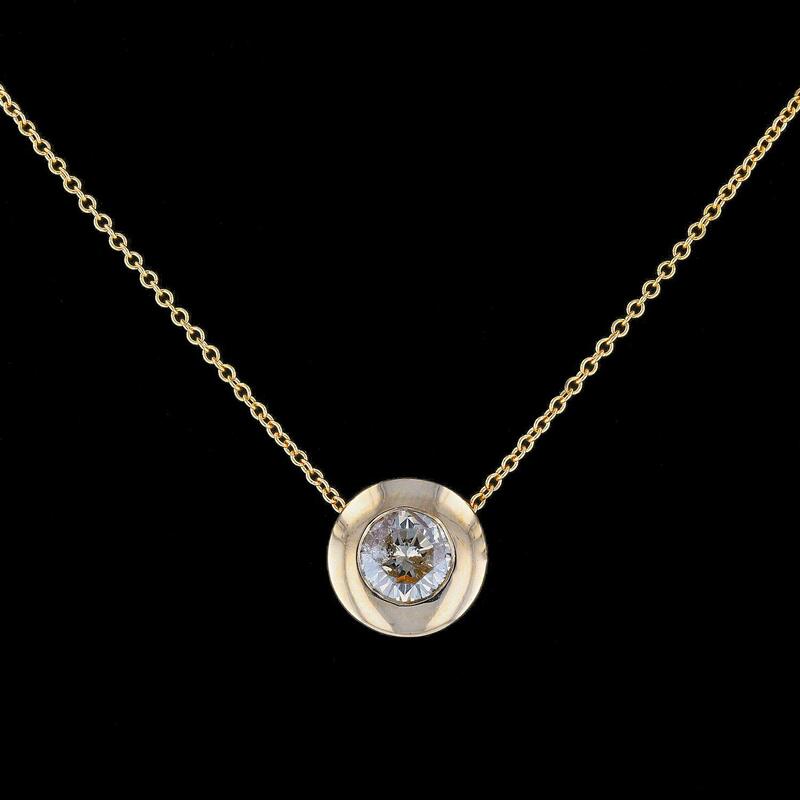 14KT yellow gold ladies cast & assembled (0.70ctw) solitaire diamond pendant with chain. Condition is new, good workmanship. The featured 14KT yellow gold diamond pendant is supported by a 14KT yellow gold sixteen inch length designer style chain.